Every week we like to look back at everything we have read to bring you more information about the digital divide, digital inclusion and technology trends from around the web. Today on The Weekly Plug we look at Coors Light Lideres video from Gabe Middleton, a highlight from the Grunion Gazette covering human-I-T's co-founders and how teaching tech helps bridge the digital divide in this edition of The Weekly Plug. 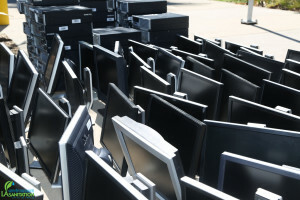 Human-I-T Brings Free Computers, the Internet To Low-Income Long Beach Residents human-I-T's co-founders Gabe Middleton and James Jack were recently featured in The Grunion and talked about how they are bringing positive change to households, "According to Middleton, there is no catch. Human-I-T's mission is to help individuals gain access to technology, regardless of income and background. "My favorite moment is when I get to see a family take home their — often times — very first computer," he said. "We're on a mission to shrink the digital divide.